There is no better way to manage the risk of a package failure and sterility loss than with regular pouch testing and inspection. The PTT-100V is a test lab for your desktop. 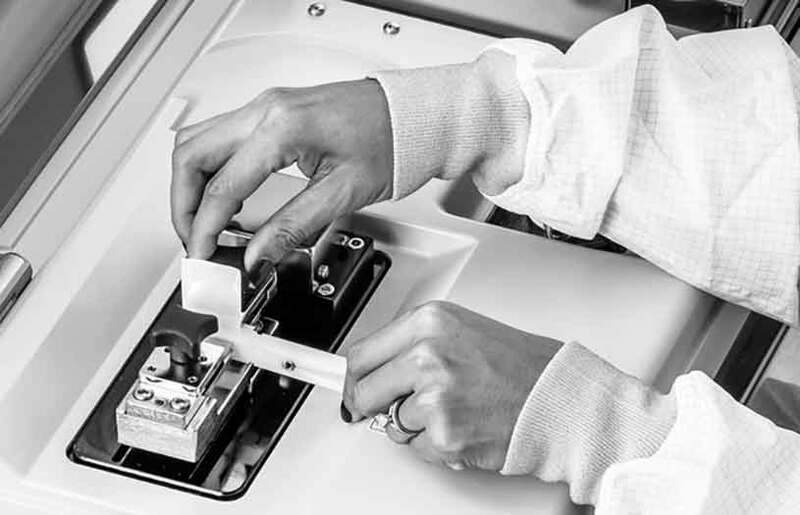 Van der Stahl Scientific continues to imagine and create patented innovations that are designed to help medical device manufactures stay compliant and avoid potential device recalls. 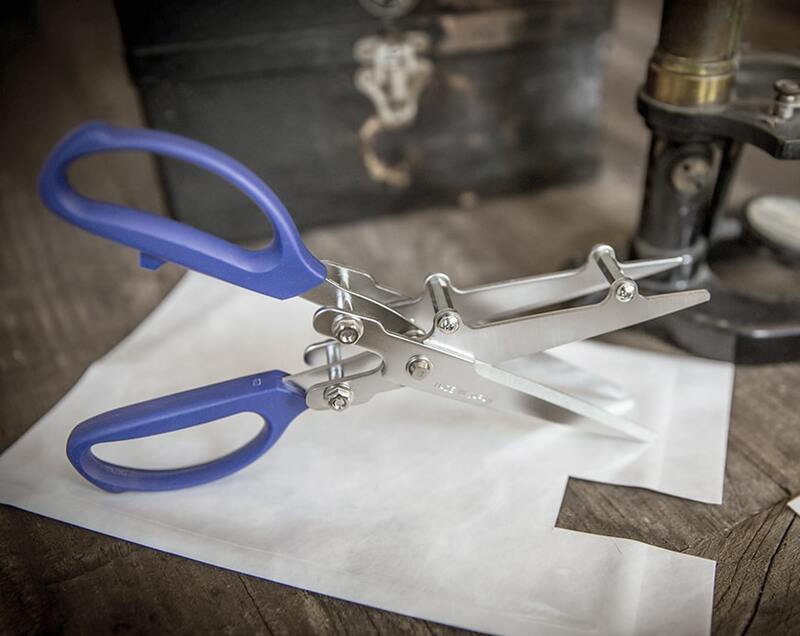 With our quick-loading grips and precision specimen cutting solutions you can test often to manage pouch failure risks. The PTT-100V can output data via the system’s USB port to archive seal strength and visual inspection data. Accurate daily pouch testing is the new expectation for medical device manufactures creating the sterile barrier system. Stay compliant and thwart contamination risk to your medical device. Call our engineering group and learn more about the PTT-100V pouch testing and inspection device for your desktop. The PTT-100V has a data capture rate of 100 readings per second in order to achieve detailed information for each peel session. Data can be sent to a computer via a USB cord for generating a graphic waveform for further data evaluation. With the included calibration spring and “Check Mode” the load cell can be tested daily to be certain that the device is still in calibration. This is a vital tool that assures the PTT-100V testing system is in tolerance between annual calibrations cycles. Human load behavior and inconsistent sample size can impact peel results. Our included specimen cutting jig and specimen loading tool reduce user bias to assure repeatability and enhances testing accuracy. These innovative tools encourage regular pouch testing. Why risk a potential medical packaging recall? 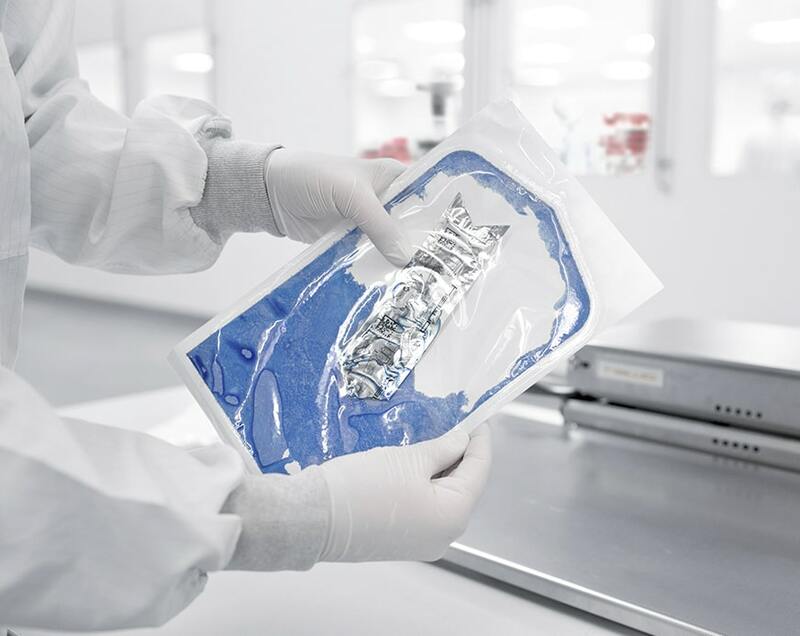 Pouch testing and inspection is the most vital piece of your sterile device packaging plan. With our PTT-100V medical pouch testing and inspection lab you can thwart compromised pouches reaching the sterile field. 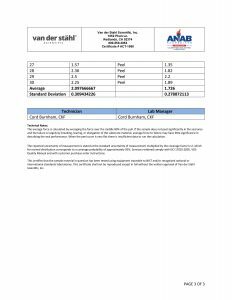 Your PTT-100V ships with a full ISO 17025 calibration from our accredited lab. Stay compliant and manage recall risks now. Click the video link above and learn how the PTT-100V medical pouch testing and inspection device can transform your quality program. 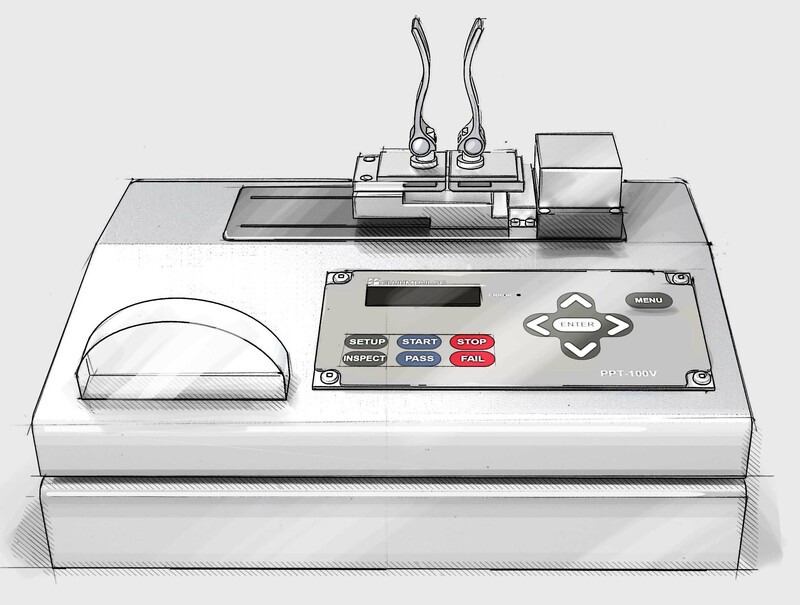 Stay compliant with the PTT-100V countertop laboratory. 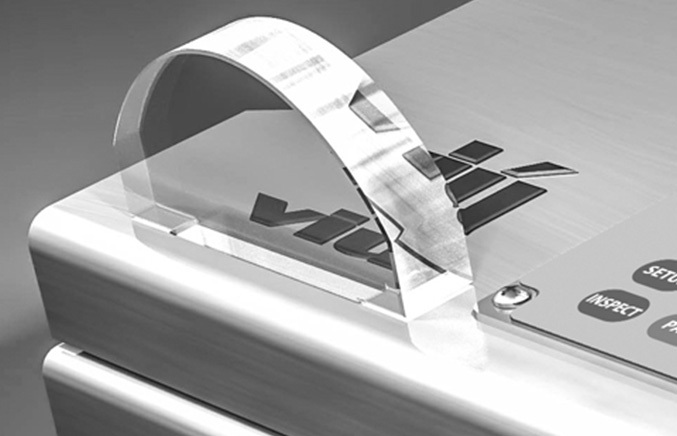 The PTT-100V is an invaluable medical device packaging laboratory designed to keep your packaging validation on track. This amazing system incorporates a host of features to assure your testing results are sound. 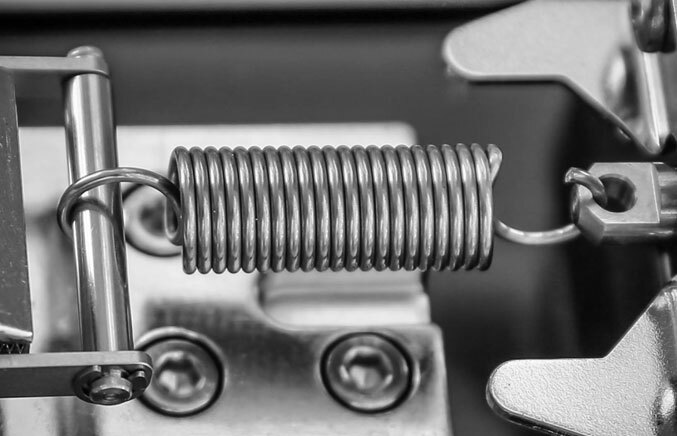 Our “Spring Check” system allows quality teams to check the load cell to verify that the machine is running as expected between calibration cycles. The easy-to-read display and simple menus encourage regular use. “Quick load” thin film grips require only a quarter turn to tighten, and our paddle style handles create maximum user ergonomics. 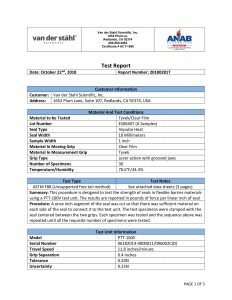 Most tensile/peel test systems are not optimized for the delicate and accurate demands of the ASTM F-88 test procedure. 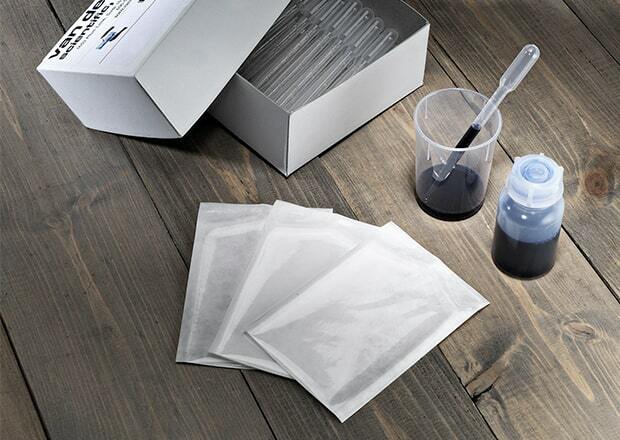 The PTT-100V testing laboratory was designed exclusively to quickly and accurately peel test medical device pouches. With compliant speeds, stops and capture rates you are ready to load your specimens into the quick load grips and gather seal strength data. Our patented side lighting can help reveal pleats and anomalies on the sealed portion of your pouch and can store inspection data on the systems onboard memories for event archiving. The PTT-100-V comes to you with a calibration check spring that can easily be fitted to assure that the device is operating as expected. This is a great way to prevent out of calibration events. Seal strength tests can vary greatly due to inconsistent operator loading behavior. With our loading tool every pouch specimen is loaded straight with even spacing for greater repeatability. The PTT 100V medical device packaging laboratory is designed to keep your packaging validation on track. This amazing system incorporates a host of features to assure your testing results are sound. The easy-to-read display and simple menus encourage regular use, and our “Quick load” thin film grips require only a quarter turn to load. Our DP-150 and DP-195 Pro-kits use premixed dye solutions that are ready to go right out of the box. 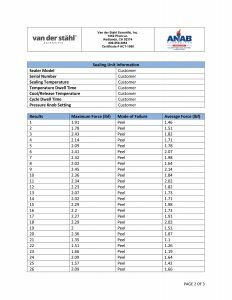 With the included laminated reference guide, you can quickly identify a host of seal failures. No more mixing and measuring messy dyes that shorten essential pouch testing cycles. Stay compliant with regular dye testing. Tensile/peel testing your sealed pouches is an effective way of monitoring your packaging machines performance, and to avoid potential creep in your seal values. With our all new SPC-2 pouch specimen cutter, you can quickly and safely prepare test samples to encourage regular medical device pouch testing. 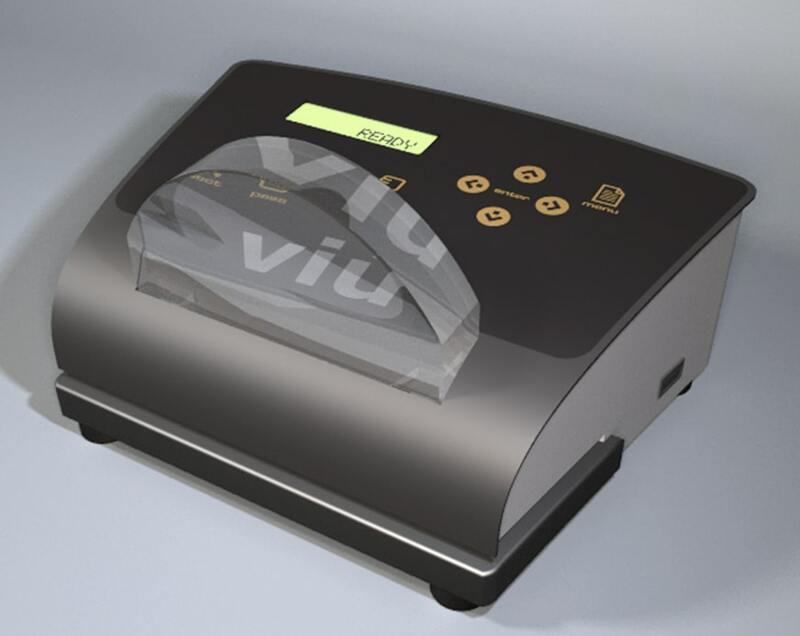 Enhance your medical device pouch seal inspection with our VIU system. Visual cues can be an important first step in identifying critical seal issues on your medical device pouch. Our patented side lighting array can identify a host of nonconforming seal issues such as pleats, channeling, and narrow seals. Medical device packaging engineers agree the pathway to compliant device packaging is through regular testing and inspection. 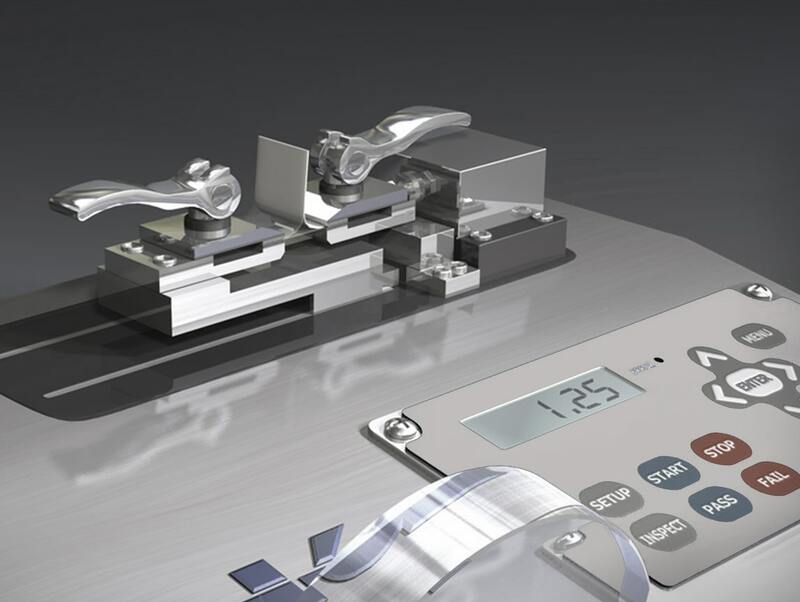 With our patented MS-451 medical device pouch sealing machine, seal performance is verified with the onboard testing and inspection system. 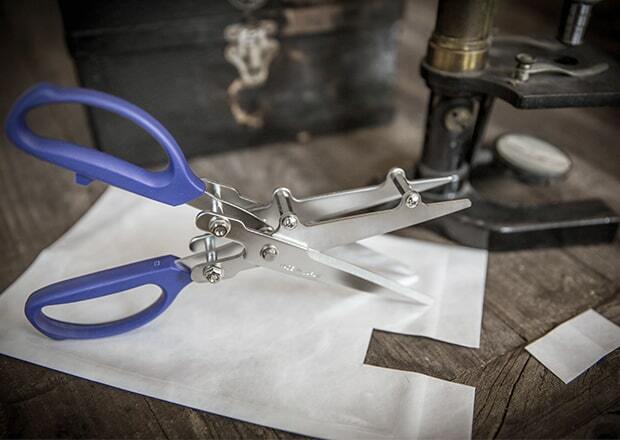 Cutting your pouch samples with a razor knife is time consuming and poses safety risks. The robust build of the SPC-2 prevents device flexing that could affect pouch sample consistency. There is no longer any need to mix messy dyes and surfactants when developing a dye solution for the ASTM F 1929 protocol. The DP 150 is premixed and ready to use right out of the bottle. Ready to use out of the box. 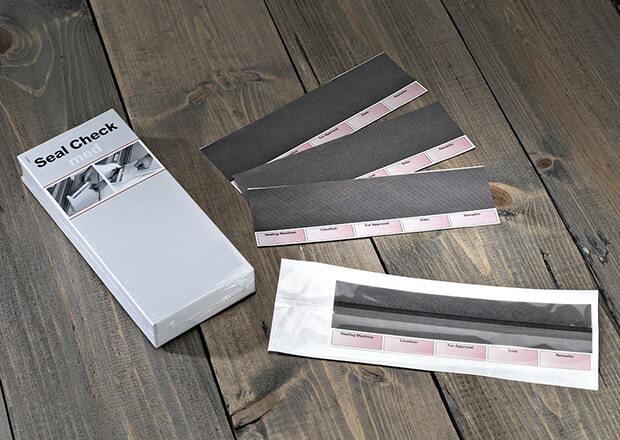 Simply seal your pouch as usual, with the Seal Check strip as the middle film and visually evaluate the seal event you just performed for known seal issues. A solid medical device packaging validation is supported by layers of double checks to make sure that the process is sound. When you fail to look outside of our own testing and calibration functions you risk data bias that may cause a loss of sterility of your device. Help is here from our ISO/IEC 17025 accredited Laboratory and with our SPOT™ (sterile packaging on track) program, we will test your pouches each month.